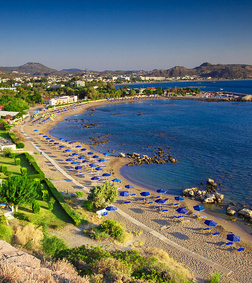 There are plenty reasons why Rhodes is one of the most popular holiday destinations in the Mediterranean: it's rich history, wonderful natural surroundings, its crystal clear seas, parks and recreational facilities, its attractive resorts and not least the bright sun and the warm hospitality of the islanders themselves. 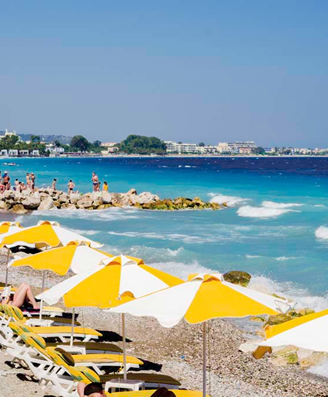 Rhodes has been popular with British tourists for years, the island's wonderful subtropical climate with 3,000 hours of sunshine per year continues to attract more and more beach-lovers to this lovely Greek island. 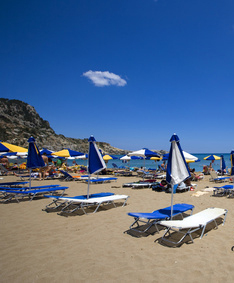 Holidays to Rhodes have plenty to offer the visitor, with great sites to see both geographical and man-made. There are every type of water-sports, horse riding, boat trips, golf courses, sea fishing, jeep safaris and a multitude of activities to keep the most active of holiday makers happy. Rhode's rich historical past provides endless opportunities to see architecture, visit museums, and ancient archeology. 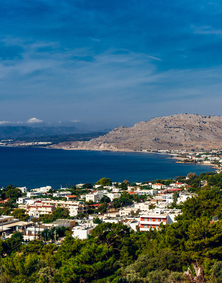 Our customers have recommended an island tour or car hire to see the amazing scenery that Rhodes has to offer. Not to be missed is a visit to Lindos see its acropolis and beaches, also a trip to Rhodes town and try to include the Archaeological Museum of Rhodes (Hospital of the Knights)!